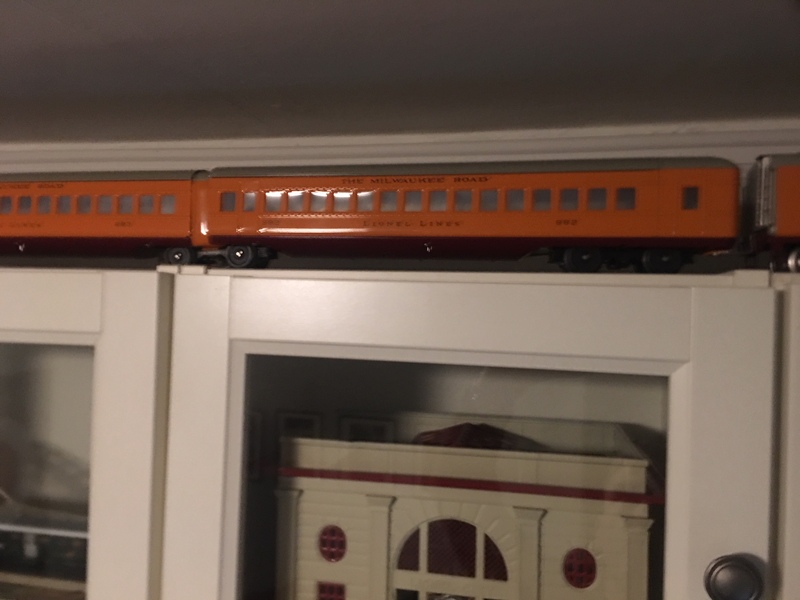 I just fell into a pretty amazing deal on a like-new 1988 reproduction of the pre-war 350-e Hiawatha. 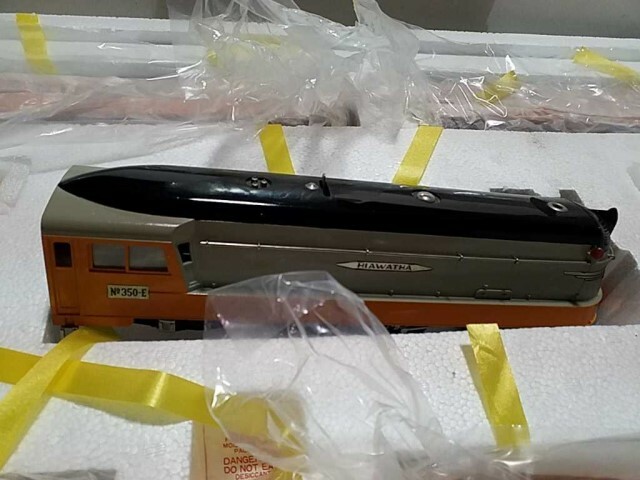 The train is in its original box, and everything looks "like new," despite this train having been manufactured (in Korea) over 30 years ago! From what I can tell, it looks like the previous owner just kept it on the shelf, or maybe even in the box. That's not really my style, though, since I strongly believe that toy trains are meant to be played with. 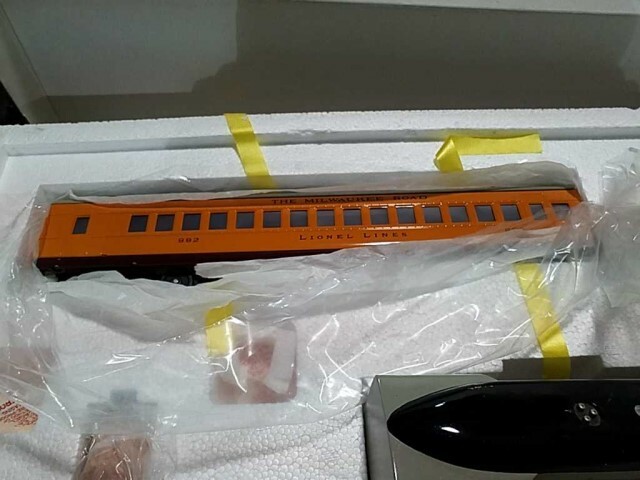 The first thing I noticed is that O-54 looks like the minimum curve this train will take (all of my curves are O-48 or smaller, welp, guess I'm sending some money to Menard's). HOW DO YOU CONNECT THE LOCO TO THE TENDER AND THE TENDER TO THE CARS? The loco and tender have long bars with circular holes cut into them. No other apparatus came with. I'm guessing that some kind of nut screw is placed in to affix the loco and tender. Is there a size or a particular kind I should get? I'd rather not trial-and-error with something so beautiful. Also, this thing looks like a really faithful reproduction of a pre-war set. So I didn't see a smoke generator, which makes me sad. There does look to be room for one, though. Any suggestions on that front? 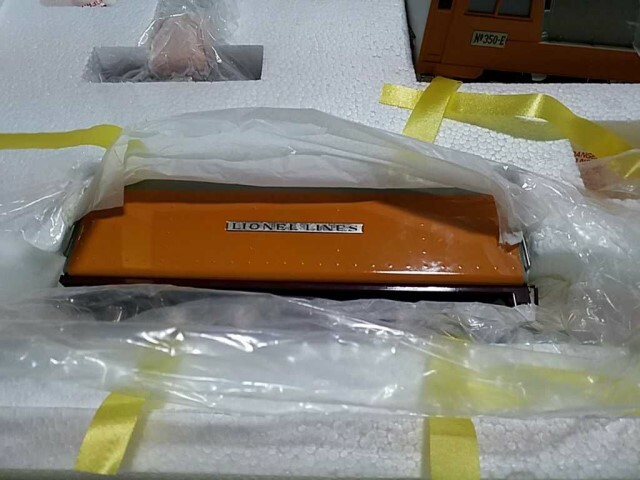 Finally, would anyone happen to have a PDF or photograph of the manuals for this train? 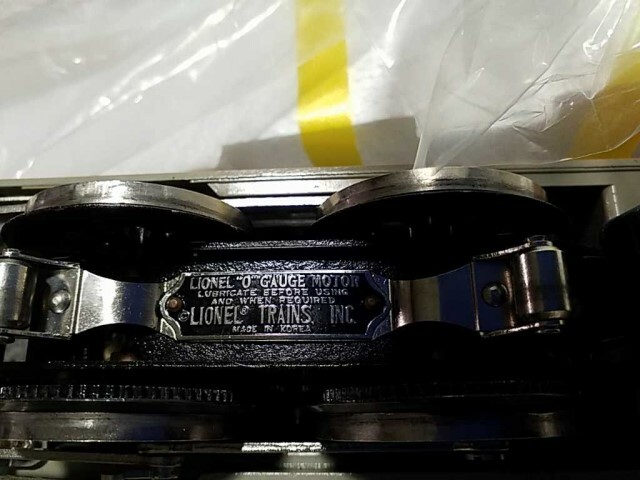 Lionel support does not. Finally - here's a few pics I just snapped of the set, which I have placed on top of my bookshelves in order to keep my five-year-old at bay until I get this one up and running. 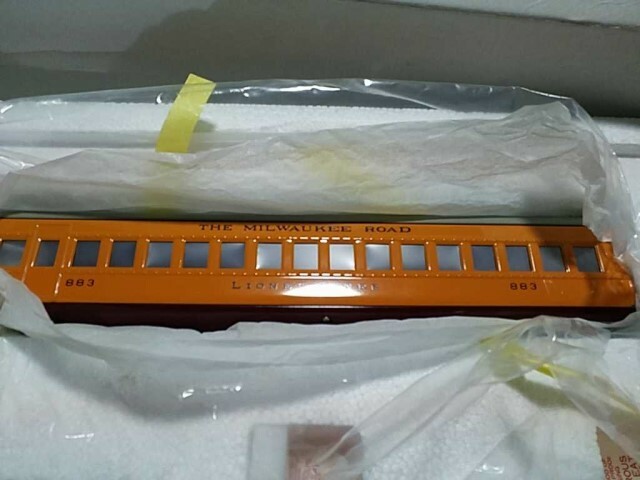 Tags: Classic Lionel , Hiawatha , Korea , Lionel 350-e , MTH? I screwed up with the photos. Resolved at least one of my questions. I found the screw that the bars are supposed to fit into. VERY DIFFICULT to hook these things together. Not sure if there is a trick to it, or if my screws are screwed in so there is little-to-no clearance, but it took a while to find. And once I did, all it took was a short spell in reverse to make the bar between the tender and the loco pop out and it was just too much of a pain to try again that night. Still far and away my prettiest train. If anyone's got an owner's manual and it willing to scan or photograph and share... I'll be ever so grateful!!! Not sure this is the same but it may help with the hook up. Thanks! The rod connections are still pretty awkward. 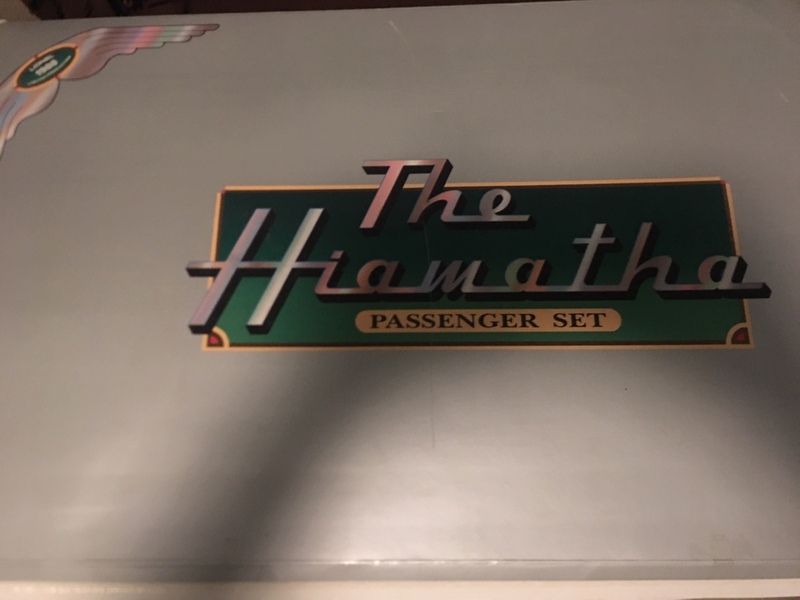 I'm going to play with the Hiawatha this weekend and see what I can figure out.